As tech and space research have deep rooted ties, recent innovations in technological research has driven NASA's Kelper space telescope mission to put forth an interesting discovery. The existence of 1284 new exoplanets has been confirmed. Amongst which, 9 are potentially habitable! Those seeking extraterrestrial life must be on edge hearing this. The reported amount is literally the greatest amount reported in recorded history of discovery, at one time. And to be more specific, twice the amount of reported exoplanets in the universe. The backstory of this discovery involves a technique where the scientists took the blips in the data into consideration as planets and not as other astronomical bodies. Ellen Stofan, chief scientist at NASA Headquarters said "This announcement more than doubles the number of confirmed planets from Kelper. This gives us hope that somewhere out there, around a star, much like ours we can eventually discover another Earth." The strategy Kelper adapted earlier to look for exoplanets is through the light dimming to certain extent while it comes from a star. This is considered as a result of a planet revolving around its sun. For now, this is the system that suffices. But there are certain glitches in this notion. This is because of the mixed signals the diminishing of a star's light can send out as a planet isn't the only object to pass, it could be a a massive asteroid or group of asteroids or a brown dwarf. In spite of it all, the Kelper Mission has successfully reported a huge number of exoplanets followed by a validation of around 984 exoplanets. 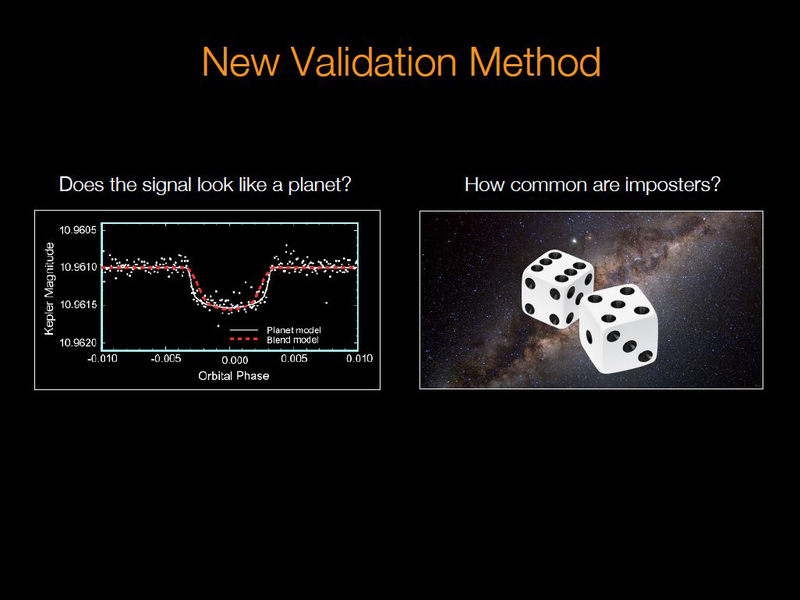 The new validation technique assesses the probability that planet candidates are really planets in a group. This is well elaborated by Timothy Morton from Princeton university in New Jersey, as, "Imagine the planet candidates as bread crumbs. If we drop a few on the ground, we can pick them up one by one. But if you spill a whole bucket full of small crumbs, you're going to need a broom to clean them up." 1- The shape of a candidate planet's transit signal is assessed, based on its characteristic resemblance with a planet. 2- The occurrence of "imposter candidates" out there is taken into account before taking measured steps to draw accurate conclusions. Following the two steps and putting two and two together gives scientists the right perspective on the occurrence of an actual exoplanet. With occurrence chances as high as 99%, the planet is stamped "valid", without any follow-up validation. Timothy Morton from Princeton University in New Jersey, made successful attempts for the verification of the new method with results drawn from ground level observation from which he concluded that, "For every planet that the ground-based surveys measures to be a planet, I predict it should be a planet and everything they measure to be a false positive, I predict to a false positive." Which matched perfectly with the new technique. The research has been issued in The Astrophysical Journal. Statistically, making use of this process, 1,935 exoplanets' existence has been reported amongst which 1,284 are new discoveries. 100 of which have size comparable to Earth's. The whole discovery carried out by Kelper Prime mission involved 150,000 stars in a single patch of sky between 2009-13. The single sole purpose of all this extravaganza is to figure out the way out of the labyrinth of the main discrepancy. "Are we alone in this universe?" Strategically Kelper scientists set a criteria of size and distance from the sun to solve this discrepancy. As mentioned, 9 planets are considered habitable with the help of this criteria. Those 9 have special features of being less than twice the size of the Earth and are in a balanced position from the sun and also can support liquid water. However, no confirmation of life on any of these has been yet reported. Analysis from the gases in their atmosphere could provide a glint of occurrence of life on these exoplanets. Here comes the downside to Kelper though. It's basically at the end of its planet hunt career. As it's predicted to be out of fuel in around 2 years in the North hemisphere by summer 2018. The planet hunt legacy will be passed on to Transiting Exoplanet Survey Satellite (TESS) and James Webb Space Telescope which will advance in unveiling the secrets of the night sky and the unknown worlds out there. 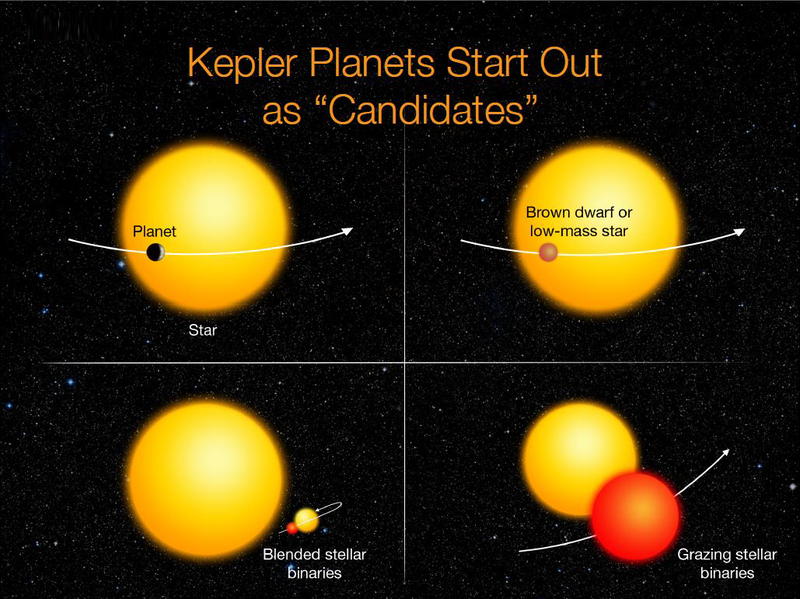 Before the Kepler space telescope was launched, we did not know whether exoplanets were rare or common in the galaxy. 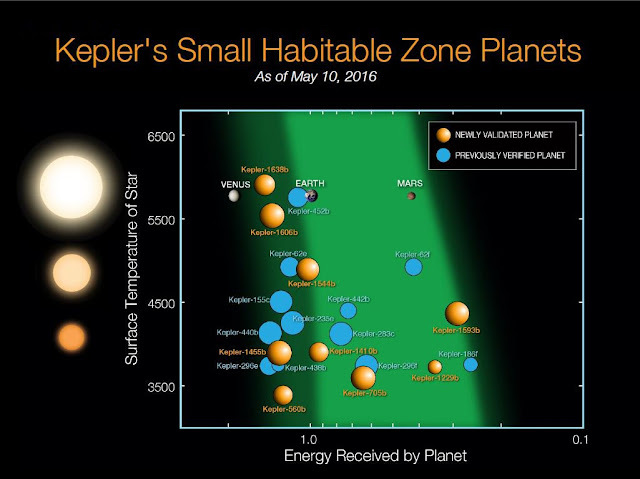 Thanks to Kepler and the research community, we now know there could be more planets than stars. Paul Hertz, director of the Astrophysics Division at NASA Headquarters, said "This knowledge informs the future missions that are needed to take us ever-closer to finding out whether we are alone in the universe." And we're all reeling in anticipation with our fingers crossed!